As a criminal trial and appellate attorney, Jason feels a great responsibility to each client accused of or found guilty of committing a crime. He is known for his dedication and for his unwavering advocacy for each client and has investigated, prepared, and defended cases in state and federal courtrooms across the country, including in Georgia, Alabama, Connecticut, Florida, North Carolina, South Carolina, New Jersey, and Pennsylvania. Jason has argued appellate cases in the Georgia Court of Appeals, the Georgia Supreme Court, and the 3rd and 11th Circuit Court of Appeals. Jason is a graduate of Georgia State University College of Law and The National Criminal Defense College. His honors include being invited to serve as a member of the Law Review at Georgia State University College of Law, where he authored, edited and published legal writings, and being named by Georgia Superlawyers as one of Georgia’s Rising Stars. Jason has served as Treasurer of the Georgia Association of Criminal Defense Lawyers (GACDL) for the last three years and is a member of the National Association of Criminal Defense Lawyers. He is often invited to speak at and serve as a panel participant at seminars. Jason also lectures for the Institute of Continued Legal Education and teaches trial skills and techniques to trial lawyers at the nationally acclaimed Bill Daniel Trial Advocacy Program hosted yearly by GACDL at the University of Georgia. 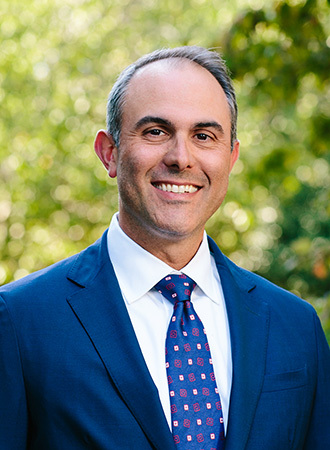 In 2012, Jason joined Emory University’s School of Law as an adjunct professor where he teaches students about the use of experts in criminal and civil trials. Prior to his admission to the Georgia Bar, Jason earned a Bachelor of Science degree from Clemson University in Biology / Pre-Medicine, focusing on Biology, Chemistry, and Bio-Chemistry. Jason also worked in emergency medicine for five years at Children’s Healthcare of Atlanta, Scottish-Rite, as an Emergency Medical Technician, where he gained extensive knowledge in emergency medicine and protocol, an experience that has enhanced his analytical and defense abilities in sexual assault and physical abuse cases. It is because of his education and experience, combined with thorough investigation techniques, expert analysis, and a personal commitment to passionate legal representation, that Jason has earned a solid reputation as a skillful and zealous advocate for his clients who include former and current members of the military, the elderly, the mentally ill, teenagers, students, school officials, principals, law enforcement officers, state officials, corporate CEOs, physicians, attorneys, judges.